While living in South Africa, I was a perpetually broke student or underpaid graduate. My lack of cash-flow meant I learned from an early age how to hustle and stretch my Rand as far as possible. 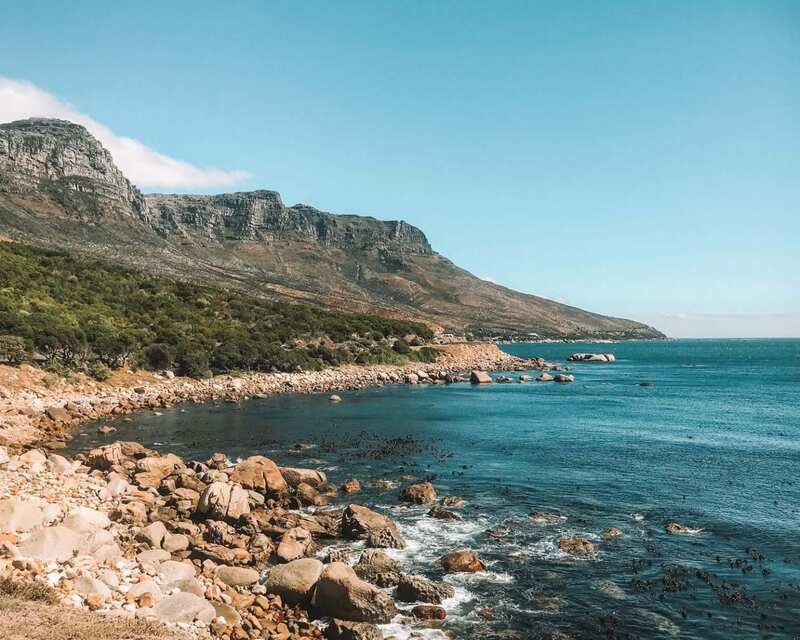 With the Rand being weak against the dollar at the moment, South Africa is one of the most affordable destinations for travellers to explore. 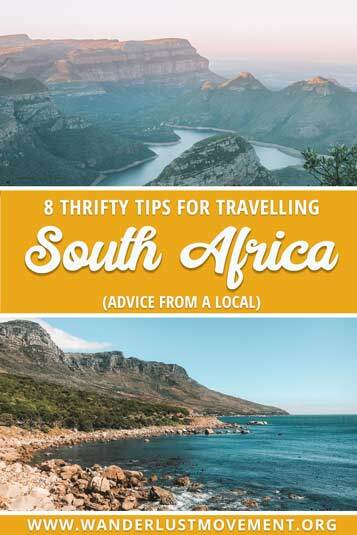 But if you’re a shoe-string type of girl like me, there are a few things you can do it make travel around South Africa even cheaper! Here are my best tips for travelling South Africa on the cheap! One of the best ways to get around South Africa on a budget is with the long-distance bus. My personal favourite is Greyhound. While Intercape has slightly cheaper rates, I would give them a miss. The company is super religious and blasts Christan videos for the entire trip, and I had a terrible customer service experience with them when I was backpacking South Africa alone. I needed to move by booking from the Wilderness to Cape Town and spoke to a call centre lady. She assured me that it was done, but then the bus never came to fetch me at 1:00 am from the petrol station because they had no record of my booking. I then bought another ticket with Greyhound and has fetched by the company around 9 am. The driver was incredible and cleared a row of seats for me so I could sleep because I hadn’t slept for almost 24 hours. Greyhound has an extensive long-distance route around South Africa. The bus covers all the major cities, and you can also use their services to travel overhand to our neighbouring countries like Mozambique, Botswana and Zimbabwe. Uber is one of the best ways to explore South Africa’s major cities like Cape Town, Johannesburg and Durban. The fares are cheap, and it’s a reliable and safe way to get around. I would avoid using the metered taxis because their rates are more expensive and you don’t have the driver’s details on your phone. Uber South Africa vets all their drivers and makes them re-do their driver’s test before they start working for the company. IF something does happen, you have the driver’s details, and any complaints are handled swiftly. If you’re visiting Cape Town, you’re spoilt for choice when it comes to outdoor activities. There are tons of hiking routes to choose from that are less than 15-minutes from the city centre. The best part? You don’t need to pay any national park fees! You can hike up Lion’s Head, make your way to Kloof Corner for an excellent sundowners spot or save money by climbing up Table Moutain instead of using the cable car. For Johannesburg visitors, rent a car and visit South Africa’s famous Drakensberg mountains! 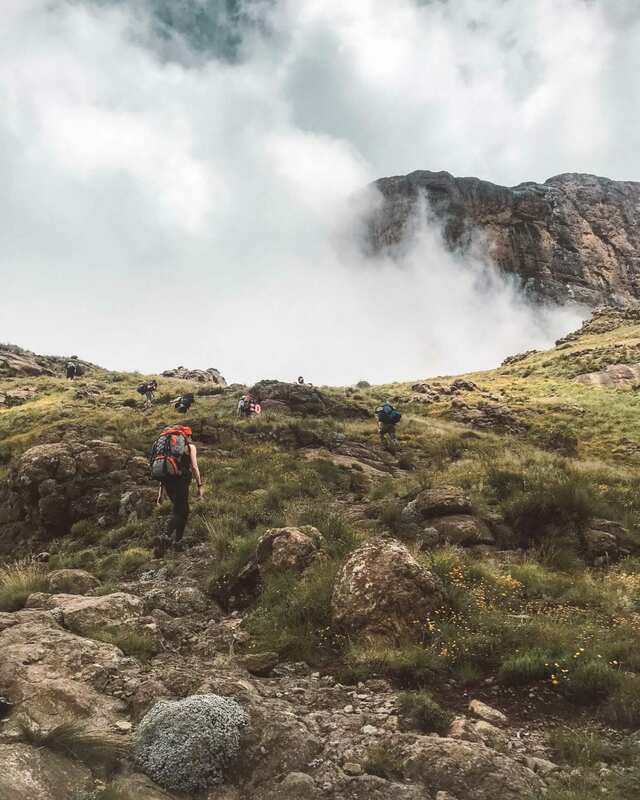 One of the best day hikes in the area is Tugela Falls (Africa’s highest waterfall), and there are plenty of multi-treks through the incredible mountain range. 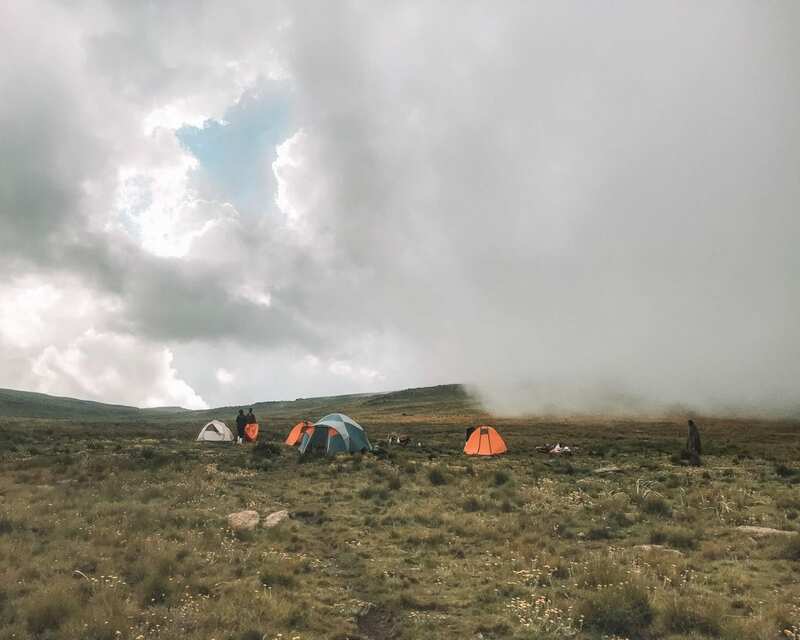 Camping on top of Tugela Falls, Africa’s highest waterfall! South Africa has beautiful, affordable campsites throughout the country. Pack your car, bring along some camping gear and adventure to some place where the WiFi is weak. If you’re looking for ocean vibes, pitch a tent inside Tsitsikamma National Park or along West Coast in the Western Cape. 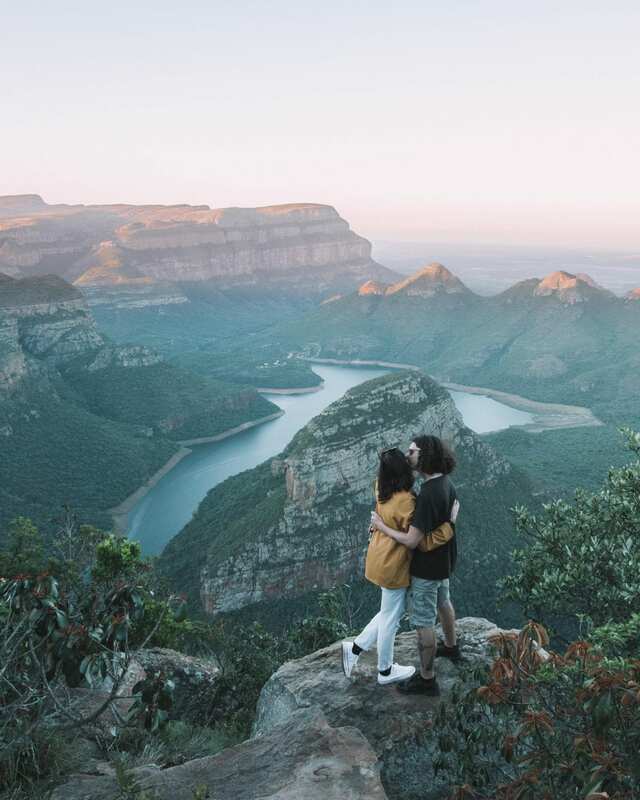 For nature and wildlife, you can camp inside Kruger National Park or Royal Natal (if you want to be close to hiking trails within the Drakensberg). While the prices for each campsite will vary from place to place, but you can expect to pay anywhere between R 60 to R 300. I love going on free walking tours when I visit a new city. 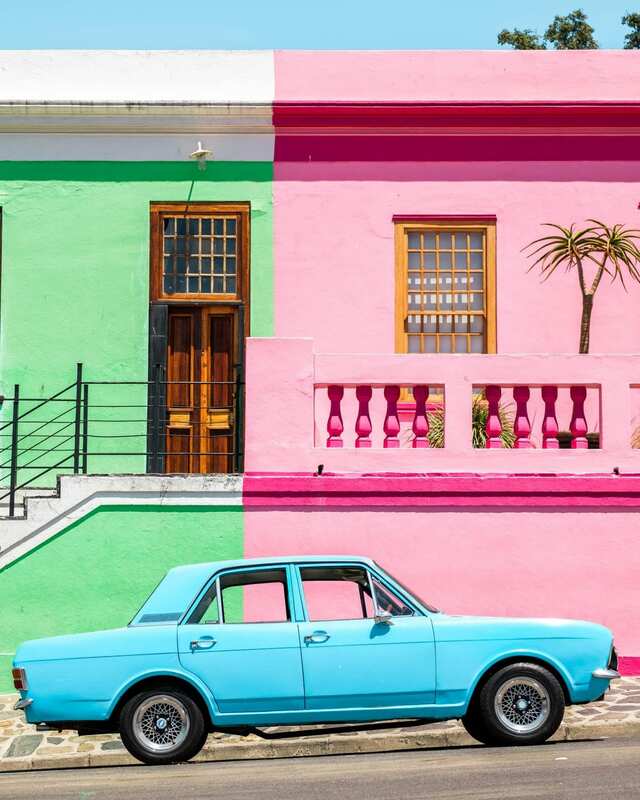 I’ve learned about Armenia’s intriguing history with Soviet Russia and devasting genocide, discovered ancient Rome through the eyes of a local and I’ve even taken one in Cape Town where I explored the colourful houses of the Bo-Kaap District. As exciting as bussing around South Africa on an epic road trip sounds – sometimes we don’t have the luxury to travel slowly. 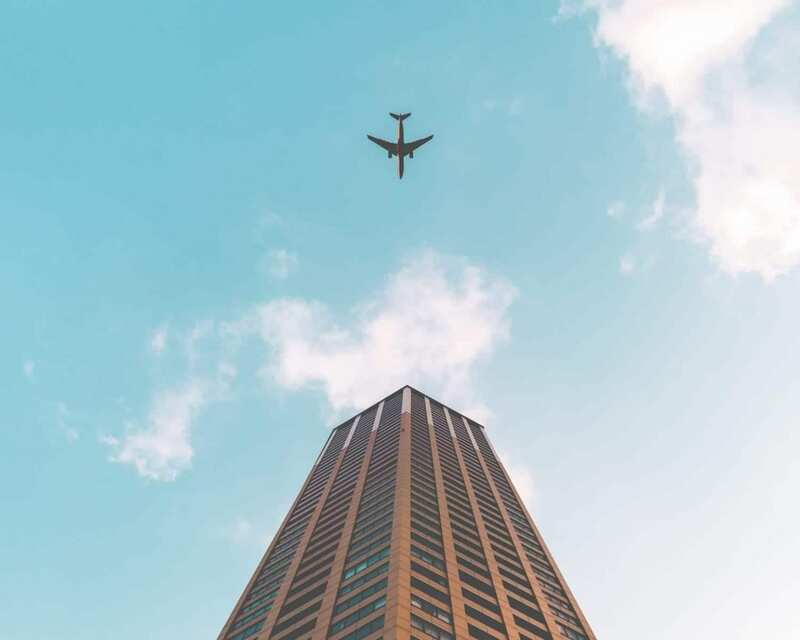 South Africa’s domestic flight prices are quite reasonably priced, and local airlines regularly have specials on certain flight routes. I recommend signing up for newsletters (I’ve saved so much money by booking my flights during a sale!) and using websites like TravelStart and Skyscanner to find the cheapest flights in South Africa. Flysafair is usually the cheapest airline, but you’ll have to pay extra for checked in luggage. If you want all-inclusive flights, I’d look at Mango and Kulala. If you’re travelling from places like the USA where local produce is poes expensive, you’re going to go on a grocery dash in South Africa. It’s going to happen, you need to accept it and come to terms with it especially when you step into the holy grail of bougie supermarkets that is Woolies. 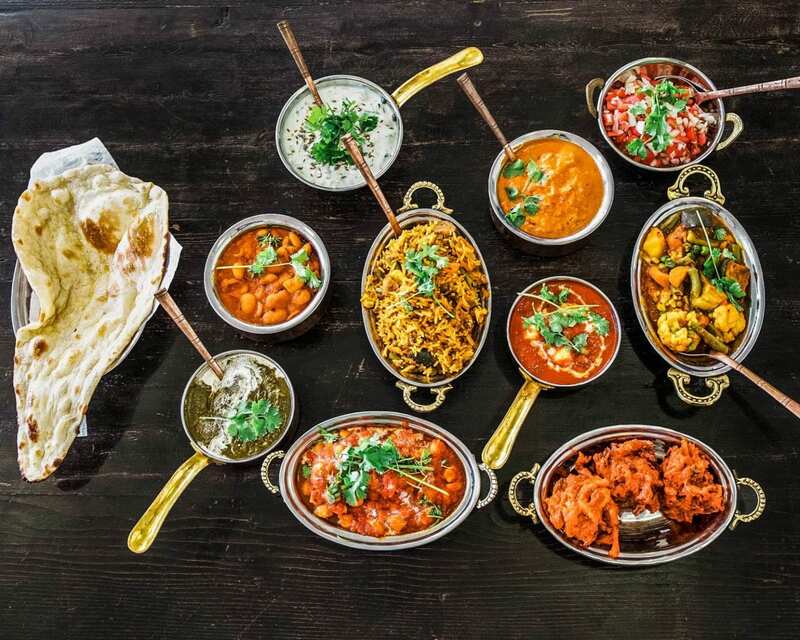 While restaurants in South Africa aren’t that expensive (you can expect to pay around R 200.oo per meal on average), your Rands will go a lot further if you cook your own meals at your hostel or Airbnb rental. You can save even more money by avoiding Woolworths and Spar and instead of shopping for fresh produce at Pick ‘n Pay or Checkers. The most expensive time to visit South Africa is during the summer months. 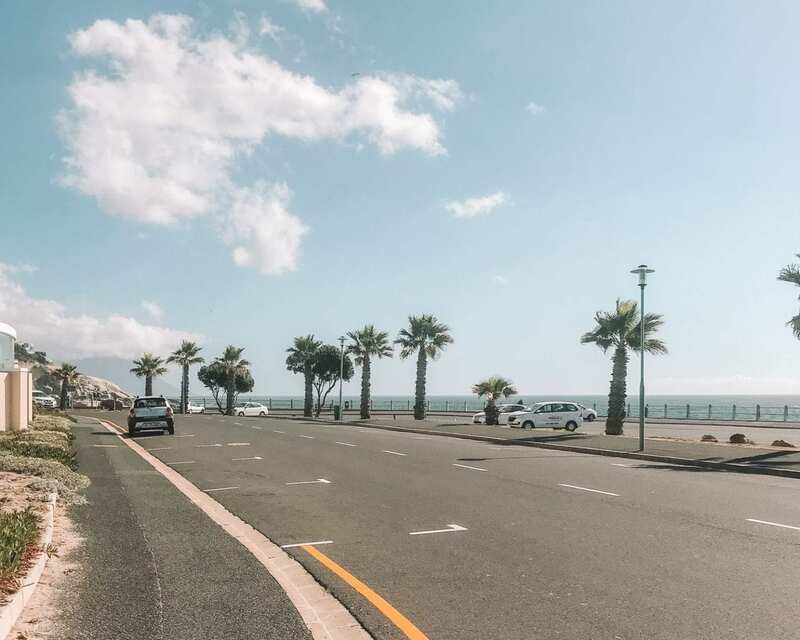 From December to February, South Africans and everyone else around the world flock to the coast to soak up the sun and good weather. 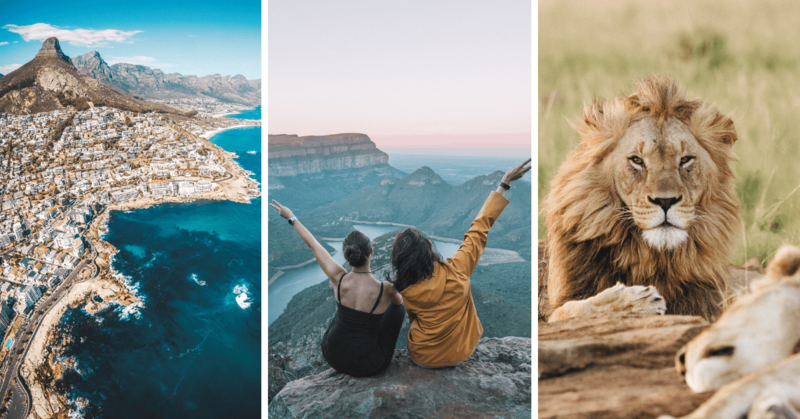 While there are tons of exciting things to do over these months and Cape Town’s events calendar is full to the brim, you’re going to pay A LOT more for accommodation and flights. To save money, visit during the spring (September to November), autumn (March to May) or winter (June to August). Keep in mind, that the winter months are the best for safaris in the Kruger National Park so that activity will still cost more. There are tons of music festivals over these months like Lush, Oppi Koppi and Rocking the Daisies, flights are cheap (except around school and public holidays), and hotels will lower their rates to for the seasonal lull. Autumn and winter are also perfect months to drive the Panorama Route as the weather is dry and you’ll have better luck getting clear views of the Blyde River Canyon!